Let’s be honest, when most people see a little green lock with the word “Secure” to the left of a URL, they think the site is safe. Ditto for spotting the words “this site uses a secure connection” or a URL beginning with the letters “https.” More and more sites these days are switching to HTTPS. Most have no choice, in fact. So what’s the problem? The more secure sites there are, the better — right? We’re about to let you in on a little secret: Those “Secure” symbols don’t guarantee a website is safe from all threats. A phishing site, for example, can legitimately display that comforting green lock next to its https address. So, what’s going on? Let’s find out. Put simply, all a green lock ensures is that no one else can spy on the data you enter. But your password can still be stolen by the site itself, if it’s fake. If the address bar shows no lock at all, that means the website does not use encryption, exchanging information with your browser using standard HTTP. Google Chrome has started tagging such websites as insecure. They might in fact be squeaky clean, but they don’t encrypt traffic between you and the server. Most website owners don’t want Google to label their websites as unsafe, so more and more are migrating to HTTPS. 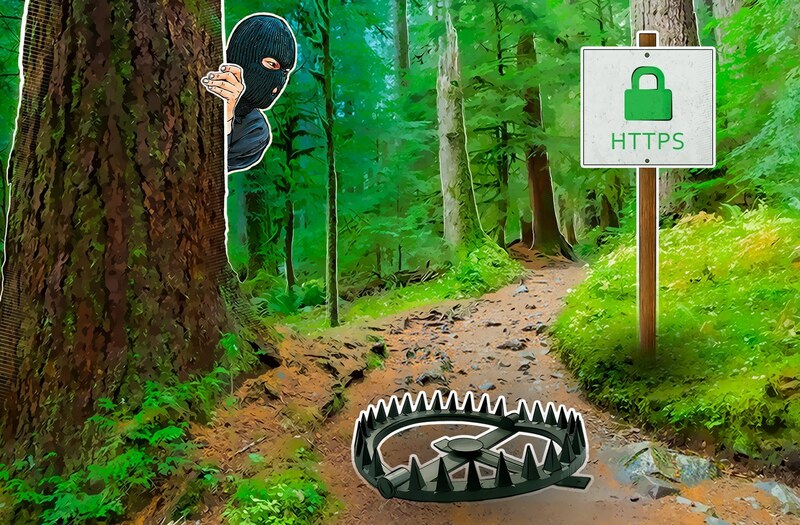 In any case, entering sensitive data on an HTTP site is a bad idea — anyone can spy on it. The second variant you might see is a lock icon crisscrossed with red lines and the HTTPS letters marked in red. That means the website has a certificate, but the certificate is unverified or out of date. That is, the connection between you and the server is encrypted, but no one can guarantee that the domain really belongs to the company indicated on the site. This is the most suspicious scenario; usually such certificates are used for test purposes only.